Authorities have identified a man who went on a shooting spree in south-central Kansas on Thursday, killing three people, as 38-year-old Cedric Ford. He was an employee at Excel Industries, a mowing equipment manufacturer in Hesston, Kansas. Ford had been served with a protection from abuse order around 3:30 p.m. Thursday, about 90 minutes before the shooting began, likely triggering the attack, said Harvey County Sheriff T. Walton on Friday. The sheriff did not give more details about what prompted the order. Watson said Ford had a history of run-ins with law enforcement, including several convictions in Florida. 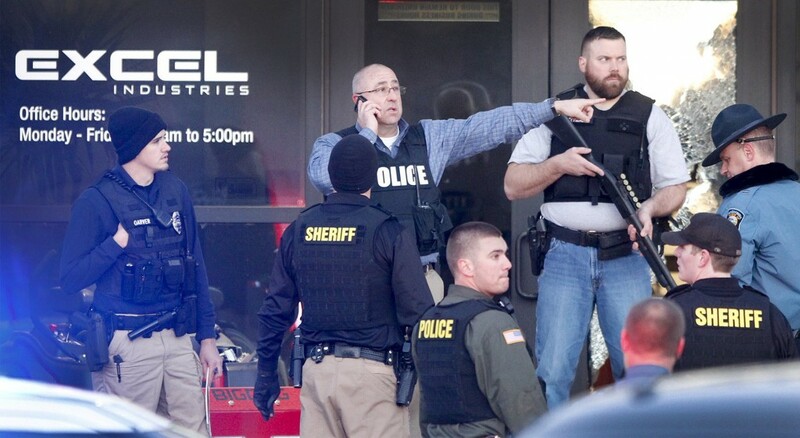 Ford, who lived in Newton, Kansas, shot two people on his way to the Excel Industries plant and shot another person in the facility’s parking lot, before he opened fire inside the building, where more than 200 employees were present, Watson said. Ford was armed with an assault rifle and automatic pistol. He killed three people and wounded another 14 inside the plant, before dying in a shootout with police. Authorities identified the three people killed as Renee Benjamin, 30, Josh Higbee, 30, and Brian Sadowsky, 44. All three were Excel employees. Of those injured, several have been treated and released from the hospital, Watson said. The attacks were not an act of terrorism and they appeared to be random, Walton said at a news conference Thursday evening. Kansas officials responded to news of the shooting on Twitter. Please send your thoughts and prayers to the people of Hesston tonight. Praying for the victims of this senseless act of violence, their loved ones and for the safety of all those in Hesston. Hesston is a rural Kansas community of more than 3,700 people, located about 35 miles north of Wichita. Thursday’s shooting follows a series of attacks last week by a lone gunman in Kalamazoo, Michigan, that left six people dead and another two wounded.